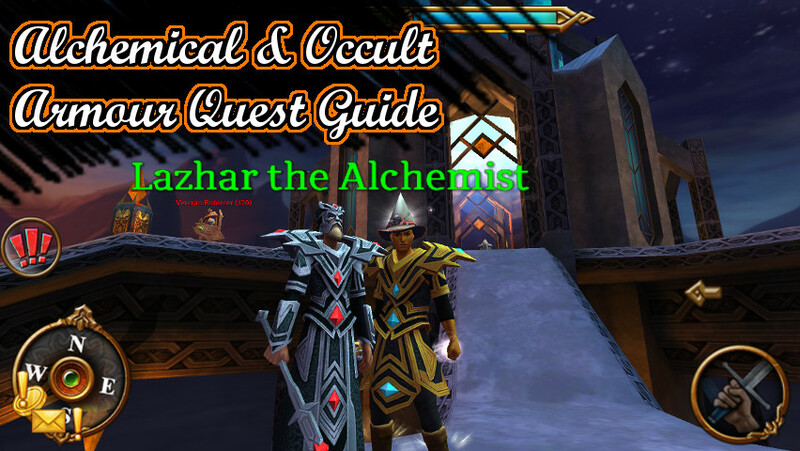 The Alchemical Armor Quests start at Lazhar the Alchemist at the Vision of Misery leystone at the Bridge of Despair. The quest is set up like the Beastbone armor quest in Carrowmore, but instead of gathering bone fragments you will be gathering Alchemical Vials. 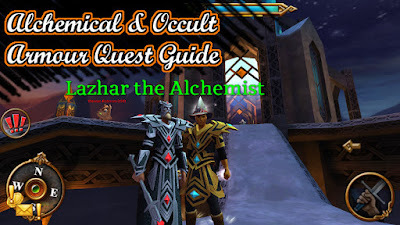 There are two armor sets, once you finish the Alchemical quest for that piece, you can do the Occult Quest (if you meet the level req listed below). Alchemical needs 10 vials, and Occult needs 20 vials. Where can I get vials? The vials can drop from any non-chaos mob in Gelebron's Tower (so no bosses or boss adds). However, there is a better chance for some vials to drop on different floors. The name of the vials in bold below have the best chance of dropping on the floor listed, and the other ones have a lower chance of dropping. The charts below show the stats of all the Alchemical and Occult Armour for all classes.